The year is quickly passing by and we have had a fabulous year! We wanted to take a moment to thank all of you who participated in our CityScape Adventures this year and can't wait for 2016! Many of you know Tony, the founder of CityScape Adventures, but you may not know his story. Tony loves to tell everyone he was born in LA but he was raised in Phoenix AZ. When you hear Tony talk about his childhood you will hear through and through where his work ethic began and grew. He started working to pay for his high school tuition as a young boy when all his friends were out having fun. Kori calls him her Footloose Guy because his first truck was rusted out 1970 Ford F100! Tony's love for travel and dedication in everything he does inspired the birth of CityScape. About 5-7 years ago he had gone through some life and career changes and had started training for triathlons. He admirably finished the Ironman in 2009. After all the hours of training running, swimming and cyling he started thinking about incorporating more mental challenge into the 5K or 10K runs. He took his idea of scavenger style races to build his own company. He started expanding his idea and spent time getting to know different cities and people. Some of you have seen Kori at the races, probably in the background. She started traveling with Tony and learning about CityScape in May 2014. Prior to May Kori's travel was minimal to say the least. She was a small midwest town girl who loved horses, sports and the outdoors but traveling was never an option. She moved to the BIG city, Denver, in 2007 and has called Colorado home ever since. Her background is corporate recruiting, fitness and nutrition, Mom, volleyball coach and dancing queen! On July 3, 2013 Tony and Kori met just by chance. They sparked a conversation that moved into a lengthy discussion of the 5 Love Languages. Yeah, that seems strange to a lot of us but it was perfect for these two! After learning that they both have a love of dancing they danced the night away to an 80's band. Chance......nope, neither believe in chance. They both have the life philosophy that everything happens for a reason! Well, after 2 years of dating and 5 kiddos hitting it off the reason was clear! They rang in 2015 with their engagement and celebrated their new family with a beautiful wedding in July! 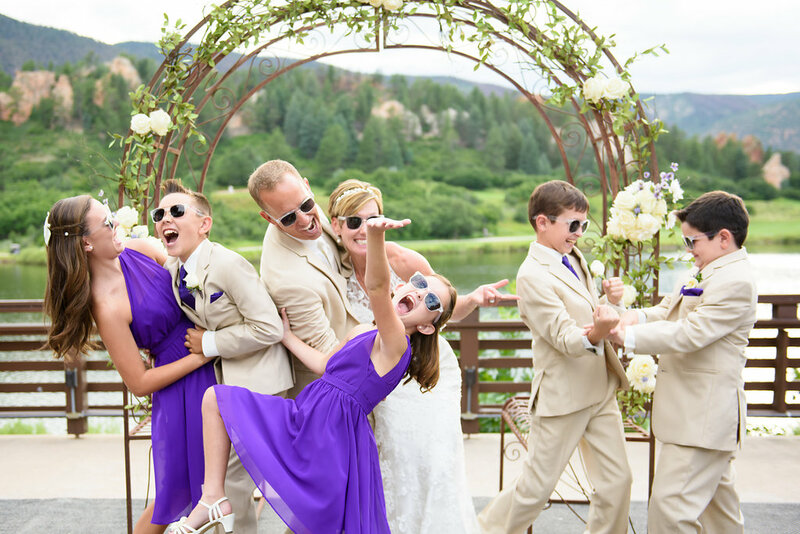 They have had a ton of fun blending all of those dynamics of a blended family! Now as 2015 is ending and 2016 is upon us Tony and Kori have sat down to evaluate their goals. They are so excited to let you in on their future plans! They are going to be changing, improving and expanding CityScape Adventures. They are so excited for you to come along in these new adventures!! Stay tuned over the coming weeks for more details about new races, cities and opportunities to become a 2016 CityScaper!! !